Kerryn Graham wants the best for her children. But, as any parent knows, it can be hard to give your kids everything they need for a good start in life. Studies show, for instance, that creative and recreational activities, after-school programs and summer camps greatly improve the academic performance, self-confidence and social skills of children. Unfortunately, many kids simply don’t have access to quality programs, which can negatively impact their well-being for the rest of their lives. That’s why, with your generous support, United Way invests in programs that give kids in our community every chance to thrive. 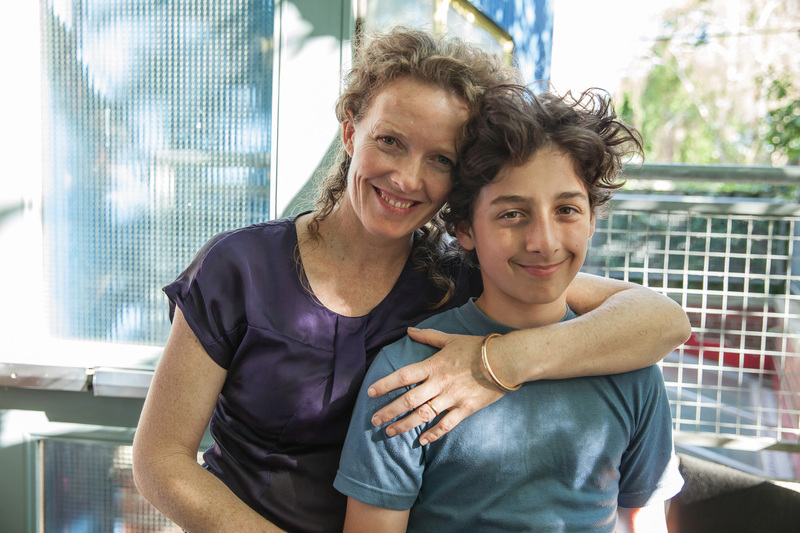 For Kerryn’s 11-year-old son, Clarke, that brighter future comes, in part, from music lessons offered at a United Way agency, where he also attends an art and music camp. “I never thought I’d play the drums,” says Clarke of his new favourite activity. An essential part of childhood development is opportunities to socialize, play, and simply be a kid. Providing a safe, structured opportunity for children to do this during summer months is something all parents hope for, but not all can afford. Discovery Camp, operated by the Town of Hinton, provides the quintessential summer camp experience, and in partnering with Hinton Kids for Success, they are able to provide an exceptional opportunity. Children funded by the United Way are selected on a need/benefit basis, as recommended by school officials. This opportunity aims to give children an opportunity to grow and succeed even where financial barriers are a factor. In 2014, United Way expanded to China, where we’re partnering with local business and nonprofit leaders to create lasting change. Our first effort focuses on creating opportunities for the children of Shanghai’s growing migrant population. These children accompany their parents when they migrant to Shanghai for work, often from rural areas. The parents typically work low-paying jobs, and their children face numerous challenges integrating into society and accessing quality educational opportunities. United Way, the Shanghai Charity Foundation and more than 240 volunteers from nine corporations teamed up to provide teacher training, supplementary teaching facilities, educational toys and learning materials to 20 kindergartens that serve migrant children. The Sprout Preschool Education Program has already improved learning conditions for 20,000 children of migrant workers. Access to quality programs and services are crucial to helping children—particularly those living in families with low incomes—succeed in the classroom, develop self-confidence, and access activities that develop cognitive, social and physical skills. Social barriers, such as poverty, prevent many children from realizing their potential. Many families living on a low income simply can’t afford to provide them with quality after-school care or extra-curricular activities. Statistics show that serious violent crime committed by juveniles peaks in the hours immediately after the close of school.